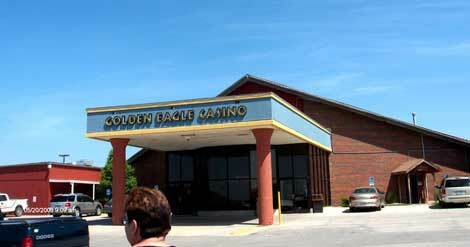 The Golden Eagle Casino is located 6 miles west of Horton on Hwy 20. Must be 21 years old with ID to enter casino floor. Bingo - see our Golden Eagle Bingo page. Evening Buffet served 5:00 pm to 9:00 pm on Mondays - Thursdays; 5:00 pm to 10:00 pm on Fridays & Saturday; 11:00 am to 09:00 pm Sunday.